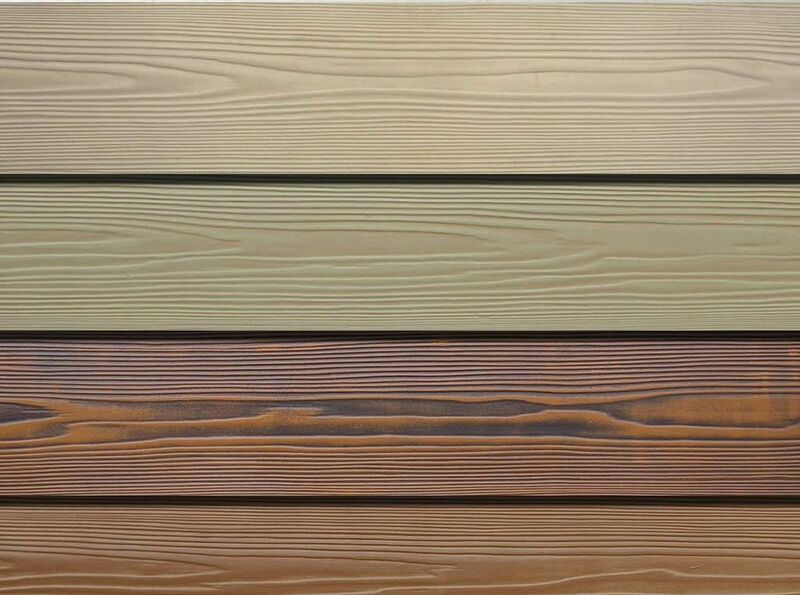 Sinoma wooden grain siding panel adopts the high quality quartz sand,silicate,natural fiber, and a variety of selected mineral. With high temperature and high pressure. 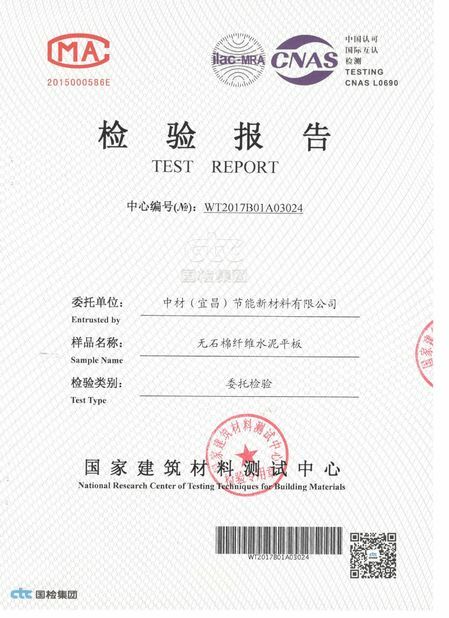 The product do not have any radioactivity and harmful elements. Belongs to new, green and environmental material.The surface with the typical natural cedar wood grain,appearance is natural and beautiful. 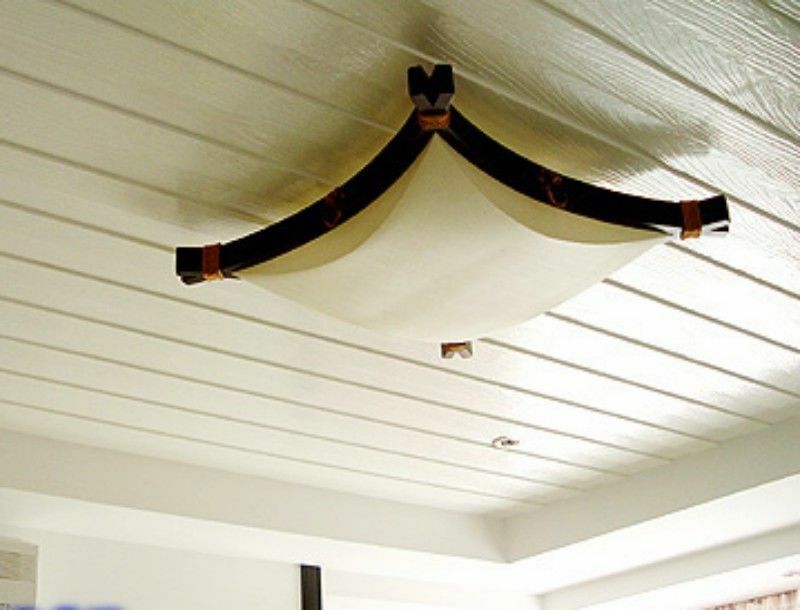 Also can prevent the attack of white ant and sawteeth animals.The wooden grain siding panel has the feature of durability,flexibility and creativity, more stable and durable than wood products.Because of the lower cost and excellent properties, it is accepted by the foreign and domestic customers, also the best choice of all kinds of construction. When choose the coating material, we recommend environmental water-based paint.For example:water-based pure acrylic coating and so on. Fiber cement cladding is a very heavy product and requires two people to carry the uncut sheets. Thin fiber cement cladding is fragile before installation and must be handled carefully; it is prone to chipping and breakage if improperly handled. Once the product is cut it may again require two people to install – one to hold the sheet flush against studwork and the other to nail the product in place. Some caution must be exercised to properly ventilate areas where fiber cement siding (FCS) is being cut; long-term exposure to the silica dust generated during the installation process can cause silicosis. Fiber cement cladding can be painted before or after installation. (For areas of exposure, weatherproof paint must be used.) Once the product is fixed the joints are usually covered with timber battens and the entire wall surface is painted. The external cladding products require very little maintenance once installed and painted. The thicker/denser fiber cement products have excellent impact resistance but the thinner less dense products need to be protected from impact. Compared to wooden siding, fiber cement is not susceptible to termites or rot. Fiber cement siding using base board materials that have been classified, by accredited laboratories, as Category A according to BS EN 12467: 2004 Fiber-cement flat sheets - Product specification and test methods are sidings which are intended for applications where they may be subject to heat, high moisture and severe frost. Fiber cement cladding is a non combustible material which is widely used in high bush fire prone areas throughout Australia . 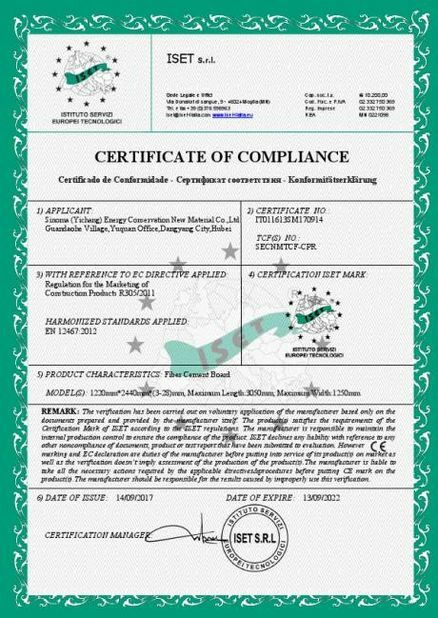 While the best possible Reaction to Fire Classifications are A1 (construction applications) and A1Fl (flooring applications) respectively, both of which mean "non-combustible" according to European standard EN 13501-1: 2007, as classified by a notified laboratory in Europe, some fiber cement boards only come with Fire Classification of A2 (limited combustibility) or even lower classifications, if they are tested at all. As mentioned previously, long-term exposure to silica dust generated by cutting fiber cement siding during installation can lead to silicosis and other lung diseases among workers. Researchers at the National Institute for Occupational Safety and Health (NIOSH) confirmed these findings, showing that many of the silica dust particles are in the respirable fraction, able to penetrate the deepest parts of the lung. Laboratory tests performed by cutting fiber cement siding within an isolated chamber showed that by connecting a regular shop vacuum to a circular saw, exposures to silica dust produced by the cutting can be reduced by 80-90%. China Good Quality Decorative Fiber Cement Board Supplier. Copyright © 2017 - 2019 decorativefibercementboard.com. All Rights Reserved.